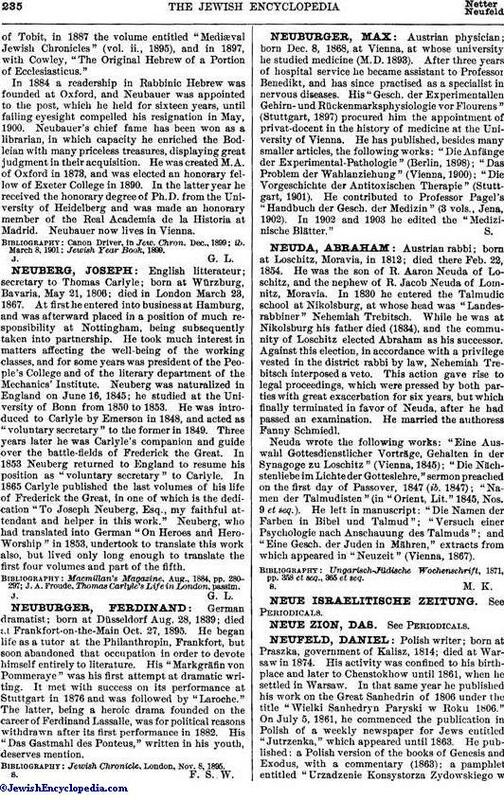 German dramatist; born at Düsseldorf Aug. 28, 1839; died at Frankfort-on-the-Main Oct. 27, 1895. He began life as a tutor at the Philanthropin, Frankfort, but soon abandoned that occupation in order to devote himself entirely to literature. His "Markgräfin von Pommeraye" was his first attempt at dramatic writing. It met with success on its performance at Stuttgart in 1876 and was followed by "Laroche." The latter, being a heroic drama founded on the career of Ferdinand Lassalle, was for political reasons withdrawn after its first performance in 1882. His "Das Gastmahl des Ponteus," written in his youth, deserves mention. Jewish Chronicle, London, Nov. 8, 1895.